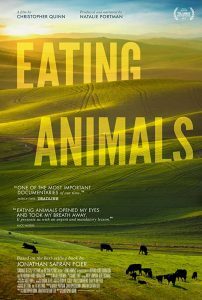 Although it’s classified as a documentary, Eating Animals could moonlight as a horror film with the imagery and feelings in which it leaves with its viewers. 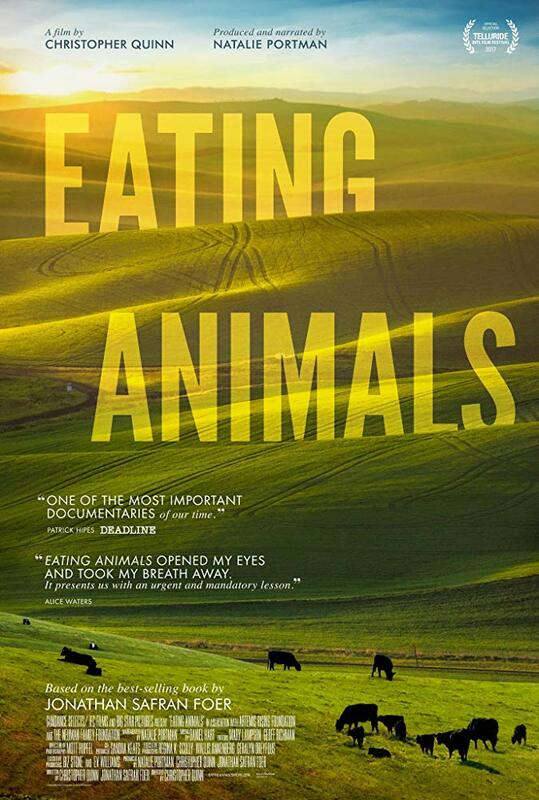 Directed by Christopher Quinn and adapted from the best-selling book of the same name (authored by Jonathan Safran Foer), Eating Animals tackles the ongoing issues revolving around factory farming and the ethical, environmental and emotional consequences that come with it. The film follows multiple farmers and activists and dives deep into their lives and well-being as they try to make ends meet while farming ethically and competing against corporate factory farms. Natalie Portman (Oscar winner and vegan in real life) lends her voice as the narrator, bridging the stories together and providing a powerful voice throughout. There is a large range of emotions to be experienced with this film, as well. I mostly knew what I was getting into, but the film still managed to surprise me. From undercover footage at factory farms, needlessly wounded animals, or even anonymous muscle men stalking and intimidating the filmmakers when they thought they were investigating their operations – this film has enough to make you feel extremely uncomfortable and knowing that this is all real is the icing on the cake. I will admit, the editing did make the narrative feel a little scattered at times. I’m glad that Quinn included so many farmers who had stories to tell and even included interviews with familiar faces like Temple Grandin too, but telling them all at once disrupted the pace a little bit. Still, their stories were emotional, dealing with inescapable debt, divorce, and environmental hazards that don’t look to be going anywhere anytime soon. Just thinking about those “pink lagoons” in North Carolina is putting me on edge as I type this. What I appreciate the most about Eating Animals though is that it’s crafted well enough to not preach to you and make you feel like a terrible person if you do, in fact, eat meat. 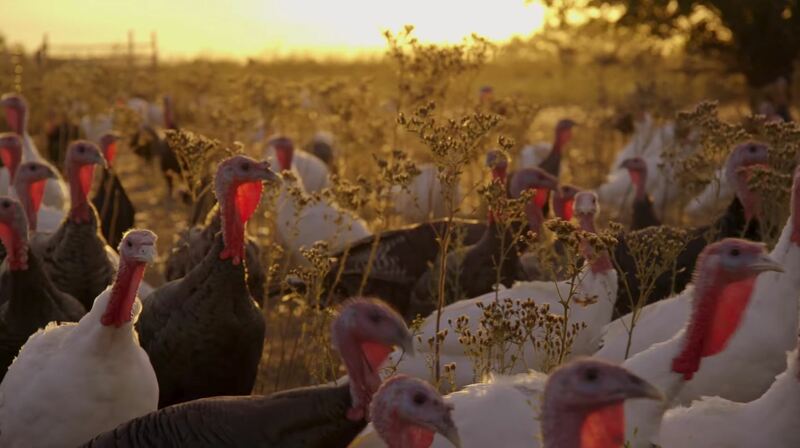 Instead of doing so, the film offers alternative ideas and raises discussions to educate the viewer and allow them to make their own choices about where their food comes from. In fact, it had a big enough impact on my girlfriend and I that we’ve already begun discussing changes we’re going to make when it comes to grocery shopping in the immediate future, and to me, that speaks volumes.